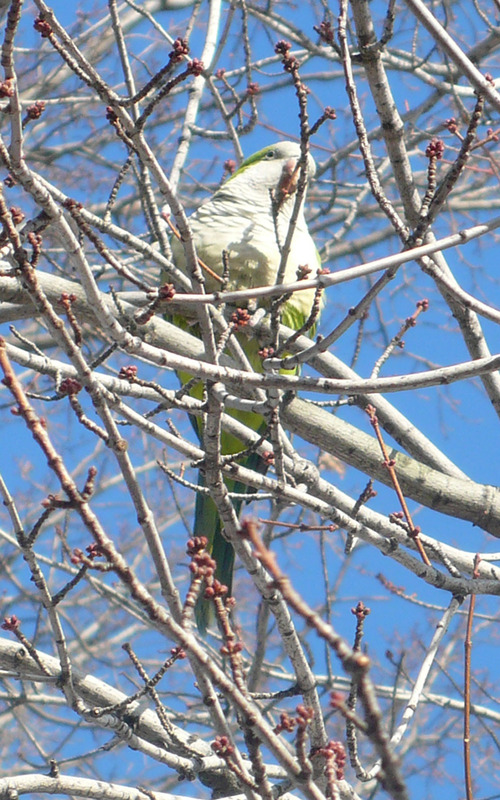 Had a great first visit with the wild parrots of Green-Wood Cemetery in Brooklyn (about whom I’m writing/illustrating a children’s book!). 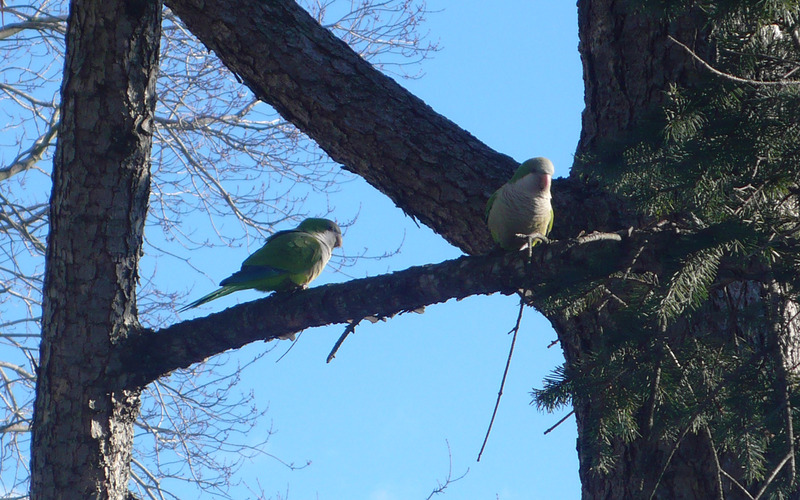 They were SO much fun to see, chattering loudly with each other and flying to and from the trees and their home in the Gothic main gate of the cemetery. 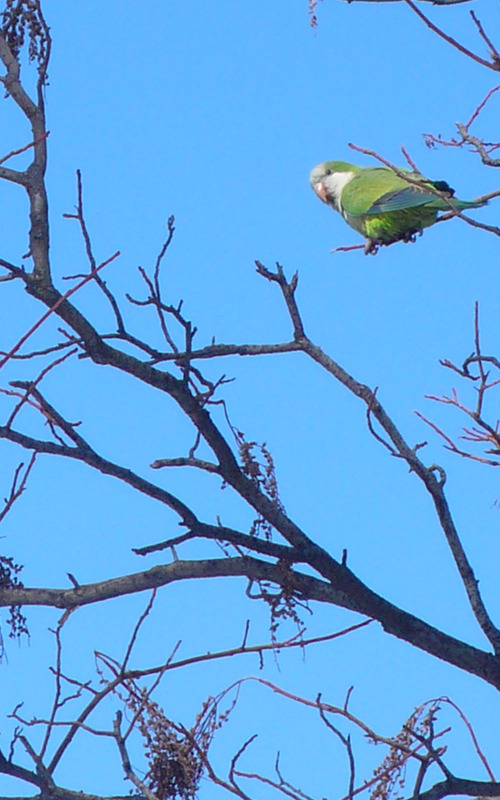 I got to stand right under their branches and hang out for hours while they munched on berries. 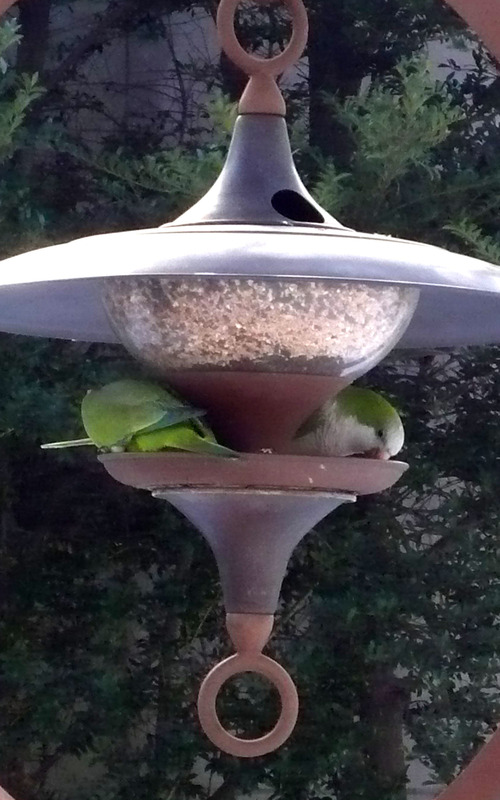 Plus, it’s so crazy to watch bright green, tropical parrots playing in the snow! 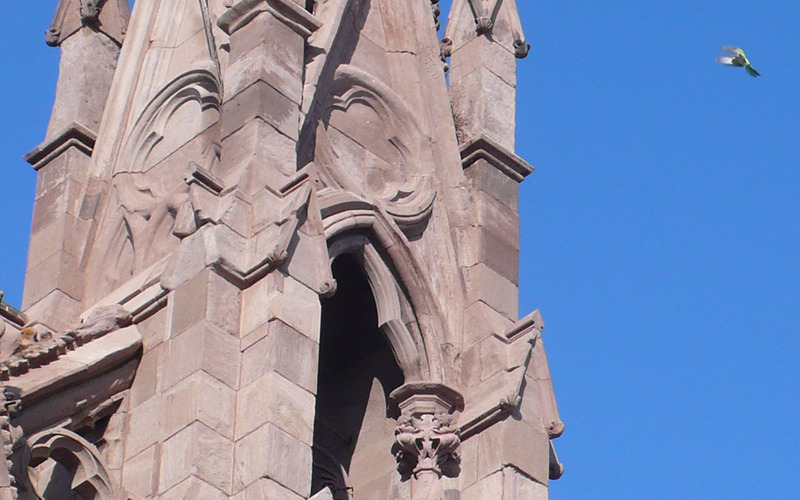 This entry was posted in happenings, my books and tagged brooklyn parrots, green-wood cemetery, parrots, photos. Bookmark the permalink.